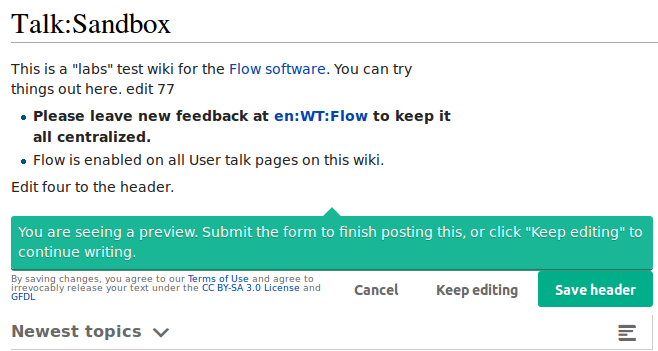 Click the pencil to edit an existing Flow board header. Result: the previewed text has an additional 200px right margin that isn't in the actual header. The div for the preview has style="flow-board-header flow-preview", and flow-board-header has 200px right margin, but we're already in the flow-board-header. So either don't nest, or don't style. bzimport set Reference to bz67496. I mean flow-board-header has 200px padding-right (in modules/new/styles/layout.less).